Just in time for the summer season, we would like to draw your attention to a noble home accessory from our Mamlin collection, whose design takes up characteristic elements of the season. The harmonious mix of warm earth tones and cool blue reminds of the sea, sandy beach and the refreshing breeze of the sea. Thanks to artful colour gradients and the timeless look, our rug of the month Mamlin MA01 shows to advantage the whole year. Learn here why the view on material and processing is worthwhile. The Mamlin Collection inspires with artistic colour gradients and filigree lines. The idea for the design comes from Dani Misio, artist and designer at Mischioff. He created impressive oil paintings on canvas with colourful stripes and exhibited them in an art gallery in Zurich. 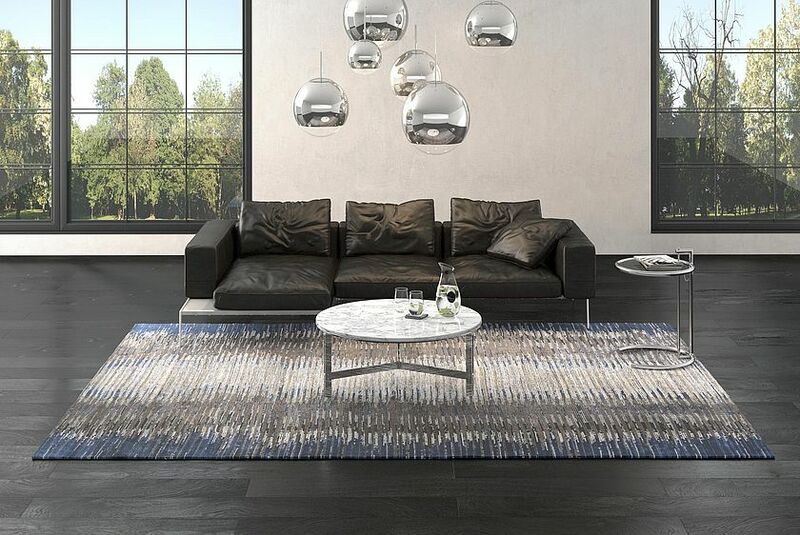 Years later, Misio developed eleven designer rugs for different interior design styles and put them together in the Mamlin Collection - including the Mamlin MA01 with ten carefully selected shades. Blue and brown set the tone and flow into each other in soft transitions. Black woolen loops provide the design with welcome contrasts, without distracting from the dominant colours. The result is an exciting overall impression that convinces with an aesthetic combination of warm and cool nuances. The Mamlin MA01 can be integrated into maritime living landscapes as well as combined with minimalist interiors. 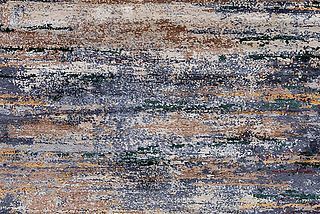 Whether a graceful beachfront property, a representative office with leather interior or a luxurious hotel lobby: Our rug of the month enriches every object with its elegant lines and interesting colour combination. Take a look at the Mamlin MA01 and be surprised by its effect. Mischioff uses 50 percent high-quality Himalayan highland wool and 50 percent fine silk for the production of the Mamlin MA01. While the silk provides the popular glow, the highland wool transforms it into an easy-care and moisture-regulating home accessory. In addition, the fibers are extremely robust and offer good thermal insulation. This means that the room climate and acoustics will benefit from it. The production is associated with challenges due to the multi-faceted appearance. The implementation is complicated and requires maximum care. Without manual skill, the realization of the templates would be impossible. The experienced weavers in the Mischioff manufactory in Nepal work on a Mamlin design rug for around three to four months. Four weeks alone will be invested in finishing. 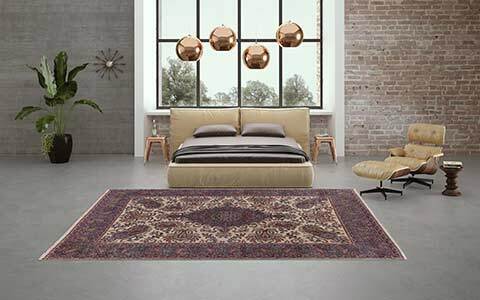 The natural materials are hand-knotted and carefully processed. The innovative loop & cut knotting technique is used to achieve desired height differences. The closed woolen lines are lower to highlight the silk pile. 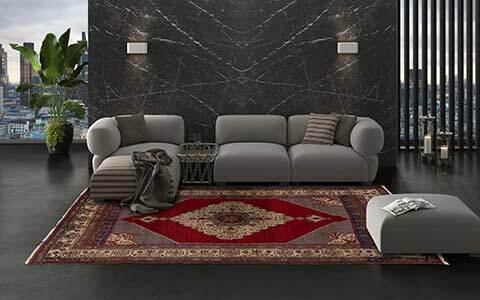 The increased placement of the silk gives the impression with its silky sheen that the Mamlin MA01 is a pure silk carpet. 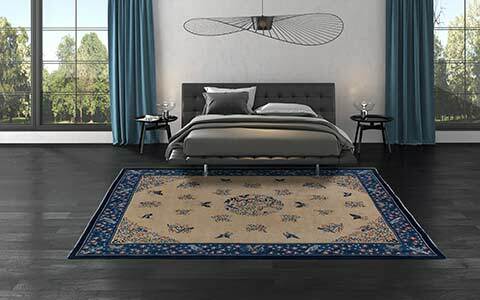 The same applies to the feel: the rug feels wonderfully soft and conveys a feeling of exclusivity when walking on and touching it. About 160,000 knots per square meter ensure stability and longevity. The pile height of about six to eight millimeters promotes the positive run feeling. 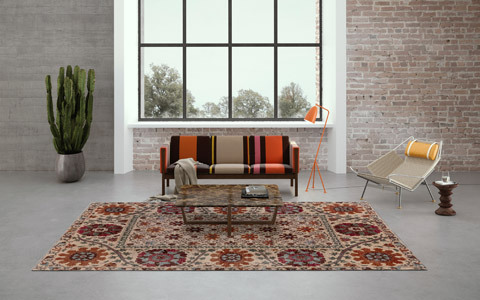 All Mischioff rugs are produced under fair conditions and controlled by the Fair Trade Label STEP. With the purchase, you support a socially responsible and environmentally friendly production. Fair working conditions and wages as well as the careful use of resources are a matter of course for Mischioff. 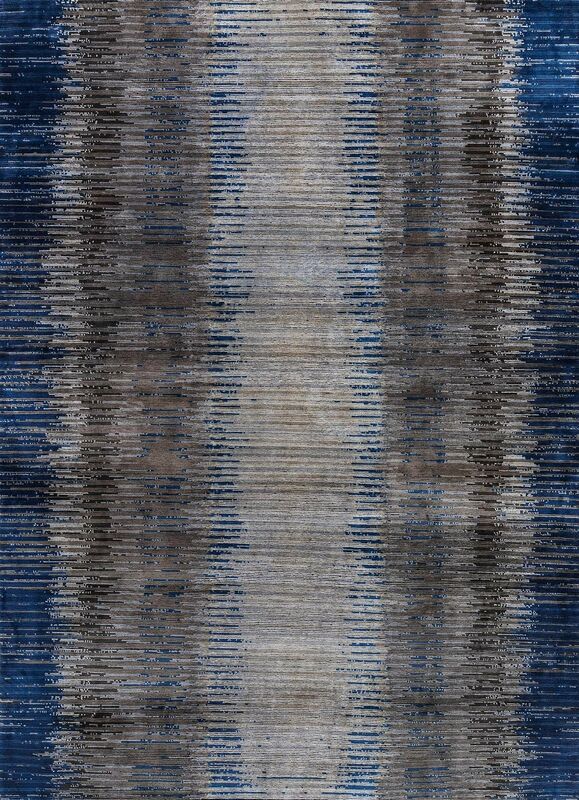 Order now our rug of the month June 2018 and complement your assortment with the Mamlin MA01 as an incomparable piece of jewelery. Architects and furnishing experts are also invited to take a closer look at the advantages of this design object and tastefully round off demanding customer inquiries. You are a private carpet lover? With our retailer search you can look for our regional distribution partners. 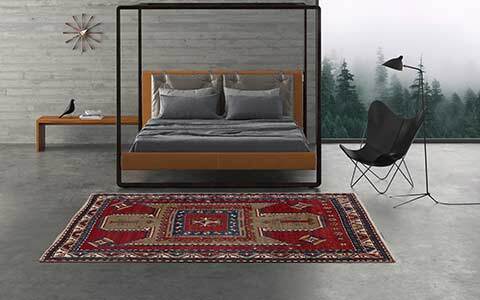 The designer rug Mamlin MA01 is available in the standard dimensions 300 x 230 and 250 x 180 centimeters. 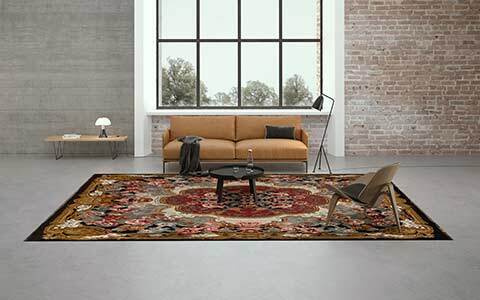 Additionally, the rug is available for order in individual custom sizes. Tell us your desired size and we will create a unique, which fits your individual ideas! Would you like to get more impressions of our assortment or do you have questions about the Mamlin Collection? Browse the current Mischioff catalog or contact us directly! We are looking forward to your inquiry and are happy to advise you!